Fantastic location to build your dream home in the thriving city of North Port, future home of the Atlanta Braves Spring Training. This property is on a drainage easement offering sufficient privacy in the back yard. Centrally located close to EVERYTHINGUS-41, I-75, schools, abundant grocery & retail shopping, and dining. Easy access to a multitude of golf courses, fishing, boating and gorgeous gulf beaches! 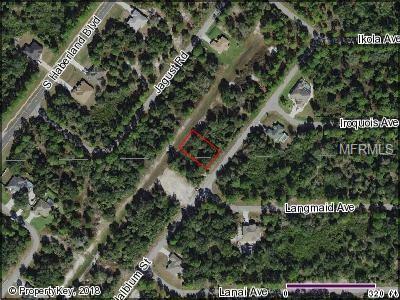 The adjacent lot (lot 23, Tax ID # 1137159223) is also available providing close to 1/2 an acre for an excellent piece of property!